archivioARB: RAIMONDO BONAMICI - Orphaned forms - Project Public Art European - Brussels. 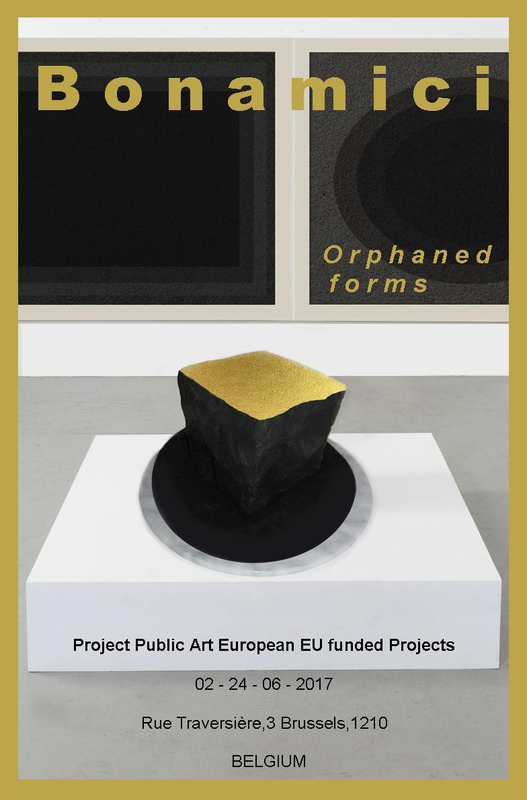 RAIMONDO BONAMICI - Orphaned forms - Project Public Art European - Brussels. ARCHITECTURE AND ART – HAMBURG 2013. The artist Raimondo Bonamici is awarded the Free art in the free world 2013 prize for his project “Io appartengo alla terra” (I belong to Earth). For the message contained in his work which is the result of his exclusive intellectual, conceptual and professional dedication. For the authority he shows to express, through his work, the widest thought of freedom. Raimondo Bonamici: Orphaned forms, 2017. Mixed media installation, variable dimensions. Ultrachrome ink on cotton paper 2 parts, 200 x 150 cm each / Edition of 2. Ultrachrome ink on cotton paper, 100 x 150 cm / Edition of 3.